Product information "Domitech ZBulb - Dimmable LED light (UK)"
The Domitech ZBulb is a fully-dimmable LED screw-in light bulb that provides comfortable warm white illumination (2700 K). It is controllable via normal wall switch and Z-Wave wireless technology as well. Equivalent to a 60-watt incandescent bulb and using only 9 W of energy, ZBulb is estimated to save approximately 140 EU throughout its average lifespan. Different from other smartphone controlled LED lights, ZBulb remains controllable via wireless device after it was broken by normal wall switch. This is possible through an ingenious switching technology. With a defined switch process of the wall switch the light can be switched off. Nevertheless, it remains controllable via Z-Wave wireless. Thus, it is possible to switch on and dim the light again by smartphone, tablet or defined automation scene. Furthermore, ZBulb is able to memorize the last dim status before shut-off. The ZBulb can be used even in two-wire electrical systems where an installation of a standard Z-Wave switch or dimmer will fail. As with all Z-Wave products ZBulb acts as Z-Wave repeater and gives users the convenience of wirelessly controlling lighting from a Z-Wave hub or controller. The UK version owns a bayonets socket. 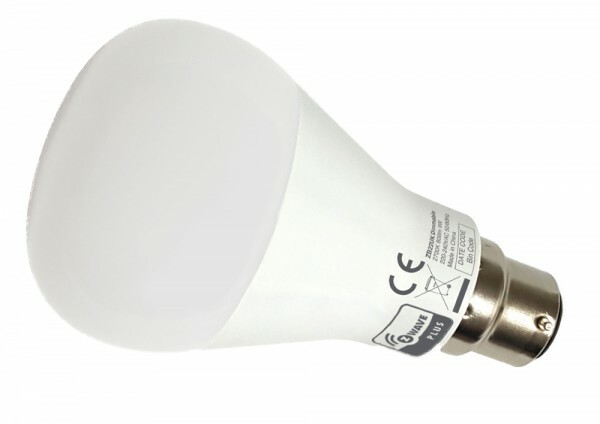 Related links to "Domitech ZBulb - Dimmable LED light (UK)"